ISRA Life Fellows shall be Fellows or non-members nominated by the Nominations Committee and confirmed by the Council, who shall in the opinion of the Committee have made distinguished lifetime contributions to research on aggression. They shall not be officers of the Society at the time of election, and no more than three Life Fellows may be designated in any one biennium. The title shall not be contingent upon payment of dues. John Archer is a Professor of Psychology and Leader of the Aggression Research Group at the University of Central Lancashire in Preston, U.K. John’s exceptional oeuvre, both in breadth and in quantity, comprises groundbreaking contributions to the study of aggression from an evolutionary perspective and to the study of gender differences in aggressive behavior. His theorizing highlighting the compatibility between evolutionary and social role explanations of aggressive behavior moved the debate on the interplay of nature and nurture forward well beyond the field of aggression. His work reflects a strong interdisciplinary and intercultural focus, and he has also made most valuable contributions to the field by providing a series of meta-analytic reviews assessing gender differences in aggression, especially in the field of intimate partner violence. John has a long-standing commitment to ISRA and has served the Society in different roles, most notably as President from 2004 to 2006 and as Editor-in-Chief of Aggressive Behavior since 2013. His contributions to aggression research were recognized by ISRA with a John Paul Scott Award in 2016. Deborah Richardson is Professor of Psychology and currently Director of Faculty Development and Teaching Excellence at Augusta University in Georgia, U.S. Deborah is an internationally leading expert in social psychological research on aggression. In particular, she has made significant contributions to the study of gender differences in aggressive behavior, the study of indirect and relational aggression, and the study of intimate partner violence. Together with Robert Baron, she authored a textbook on aggressive behavior that—published in 1994—is still widely used and unrivaled as a comprehensive coverage of theories and empirical findings on a wide range of aggression-related topics. 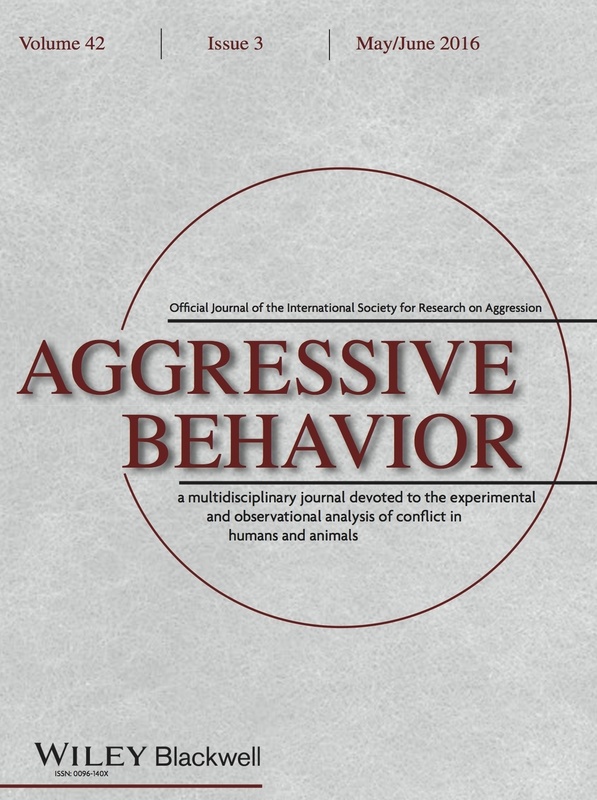 Her theoretical and empirical work has been published in the major outlets in the field and made significant impact in several specialized areas, including the study of everyday forms of aggression and the provision of measures for assessing indirect aggression. Deborah has a long-standing commitment to ISRA and has served the Society in different roles, most notably as President from 2008 to 2010.